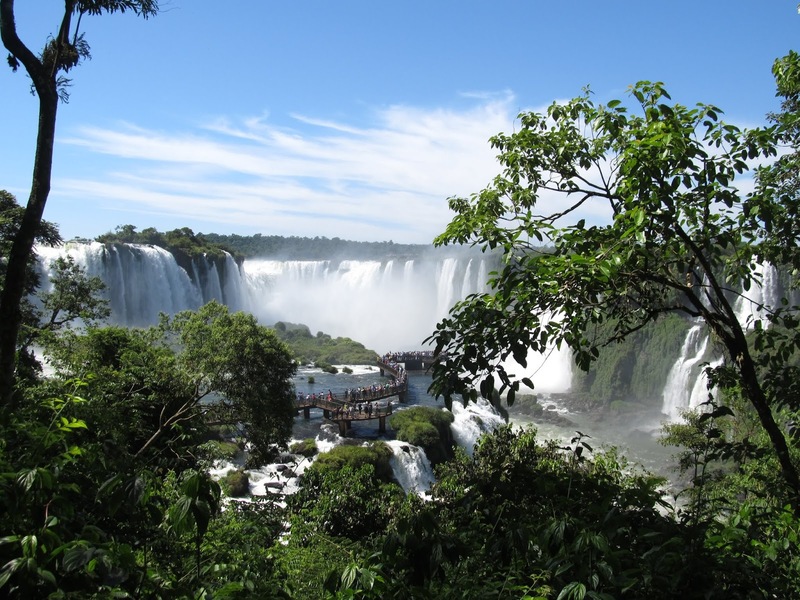 Like the aforementioned Victoria and Niagara falls, Iguazu is on the border of 2 countries, in this case Brazil and Argentina, and both have their own touristic approaches to the falls. 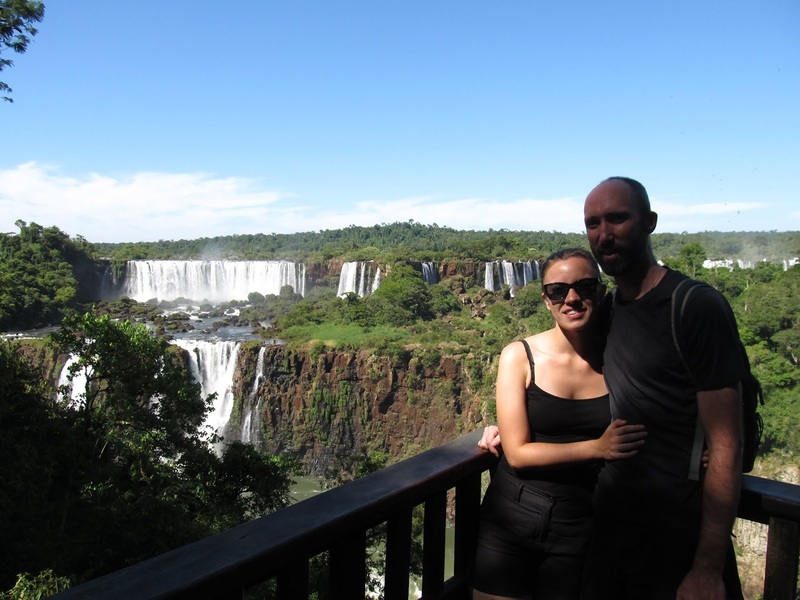 We stayed 2 nights in the larger Brazilian city of Foz do Iguacu, and 2 nights in the much more touristic Puerto Iguazu on the Argentine side. 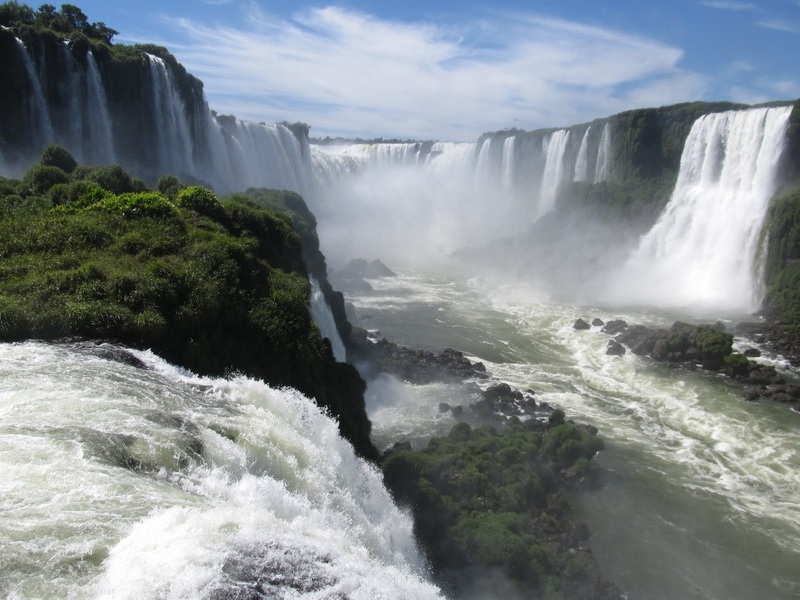 The general consensus is that the Argentine side is much better with respect to the falls and the tourist infrastructure. True on both accounts. 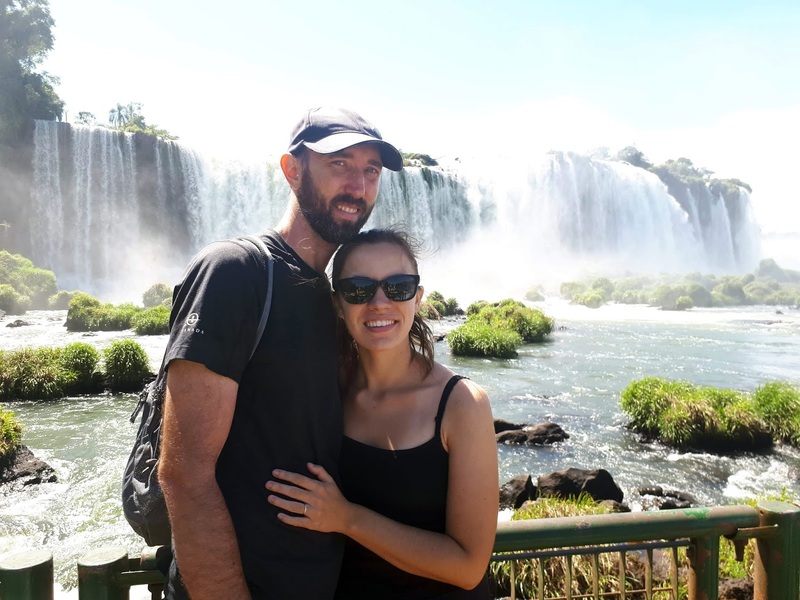 Our reason for staying on the Brazil side was 3 fold: we were already in Brazil so it made sense to see the Brazil side first, we wanted to visit the Itaipu Dam, and to get a Paraguayan visa. After rolling off the 19 hour bus from Sao Paulo, we checked into a little airbnb and to the accompaniment of many a groans, we immediately made the short trip over to the Itaipu Dam. 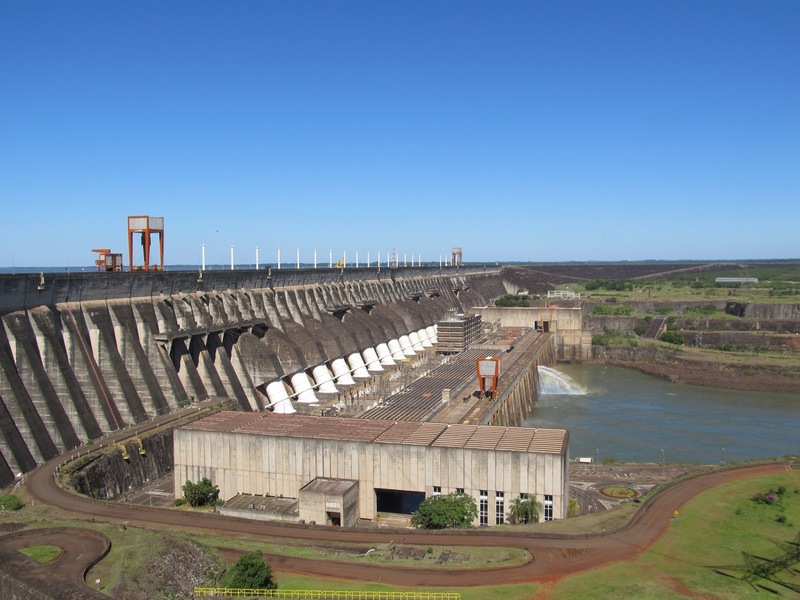 Confusingly, the Itaipu Dam is a joint project between Paraguay and Brazil who also have a border in the same area. Completed in the 1980’s, the Itaipu Dam was the largest in the world until the completion of the Three Gorges Dam in China. 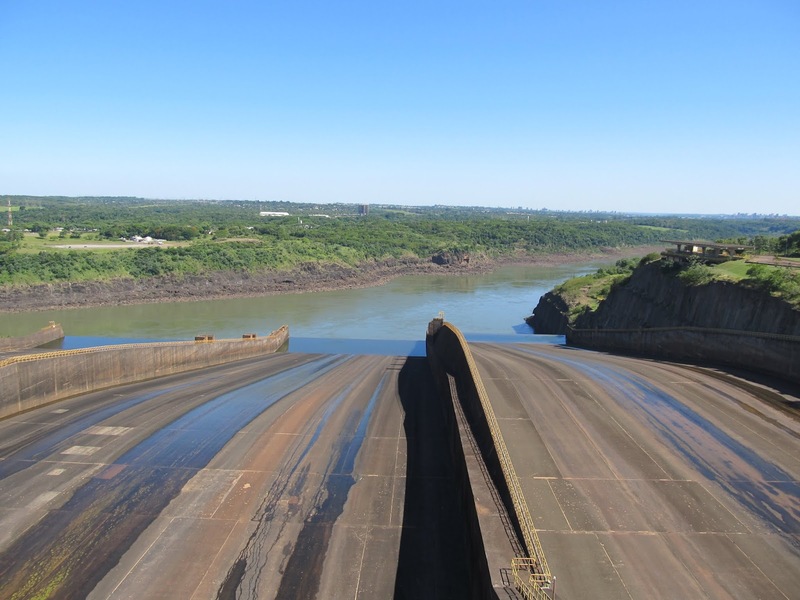 There are multiple visiting options including inside the dam but we opted for the basic panoramic tour which took us over and around the dam by bus and stopped at a couple viewpoints along the way. There are 20 generators, one for each white tube. The electricity created is split 50-50, with Paraguay selling most of its share back to Brazil (only a fraction of the dam’s power can power almost the entire country). The statistics are pretty amazing and worth looking up. The dam is over 7 km long and controversially the creation of the reservoir necessitated the destruction of what was the world’s largest waterfall by flow, the now forgotten Guaira Falls. The tour was quick but we were still impressed. 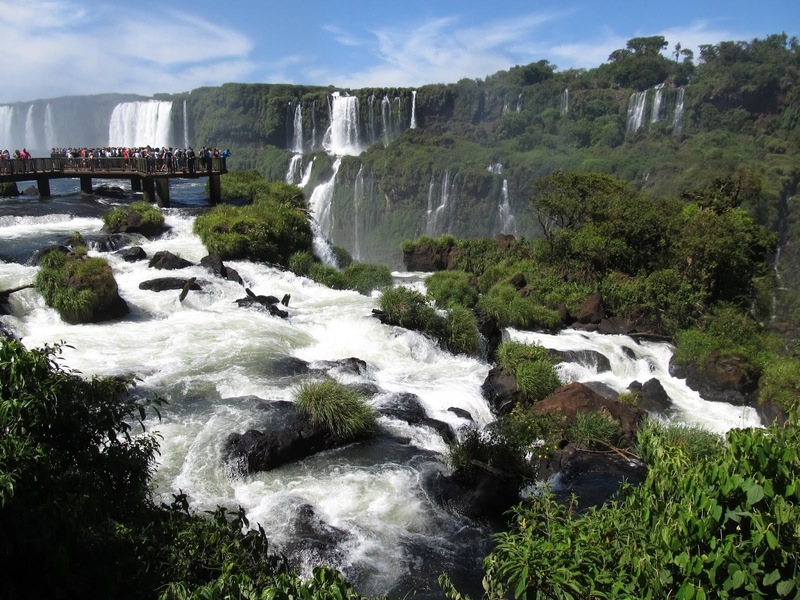 The Brazilian side of the Iguazu Falls provides the best overall view, since most of the water is falling from the other side of the river. 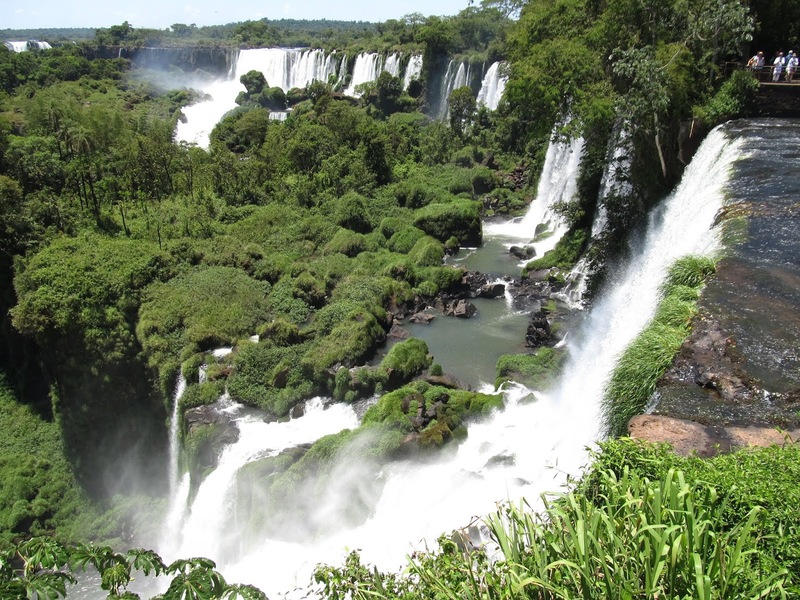 Iguazu is a huge collection of falls because the Iguazu river spreads out and curves before making its plunge and although there is a dominant fall, the Devil’s Throat, the whole site is a collection of over 200 individual falls spread out over nearly 3km. At times of flood nearly all of these individual falls can become one. 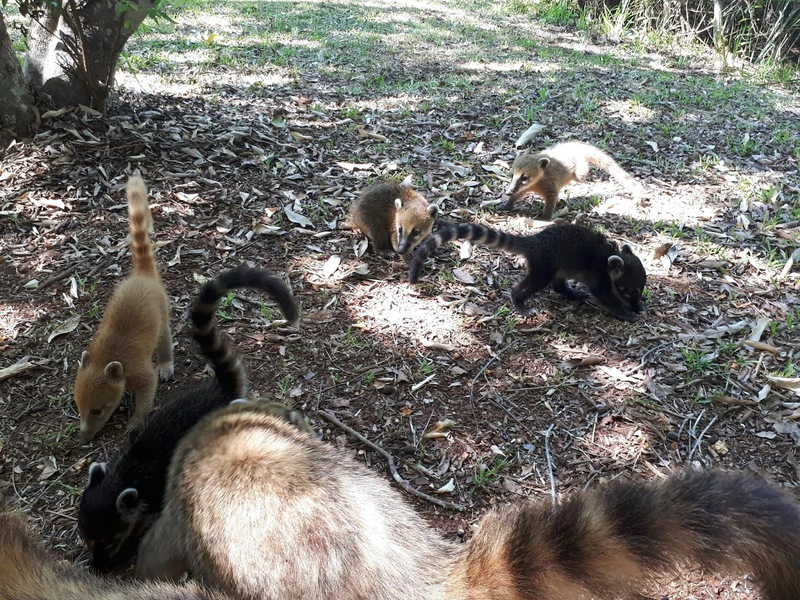 The panoramic view from Brazil is excellent and probably best visited first because realistically it is a shorter visit, there are fewer viewpoints and trails to enjoy and would probably disappoint if coming right after a visit to the Argentine side. There was just one main trail and although you can never truly see the entire length of falls at a single time (without taking one of the frequent helicopter trips) this is the best chance. Unfortunately due to the massive number of tourists, both international and domestic the trails can get pretty bottled up, especially around the viewpoints with everyone taking extra long for the perfect selfie. We were still impressed and loved the Brazilian side. We just didn’t realize how much more we’d like our second visit. There is another excellent attraction right at the entrance to the falls in Brazil as well. 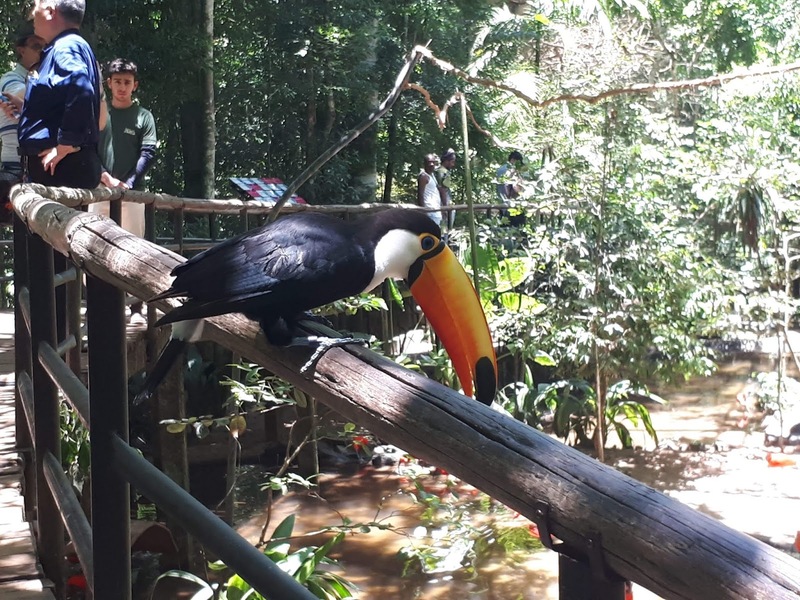 Parque das Aves, is a bird park/sanctuary with over 150 species of birds and a few other species (reptiles, butterflies, etc) in an excellent natural layout. It was similar to the great Belize Zoo and we enjoyed this just as much. 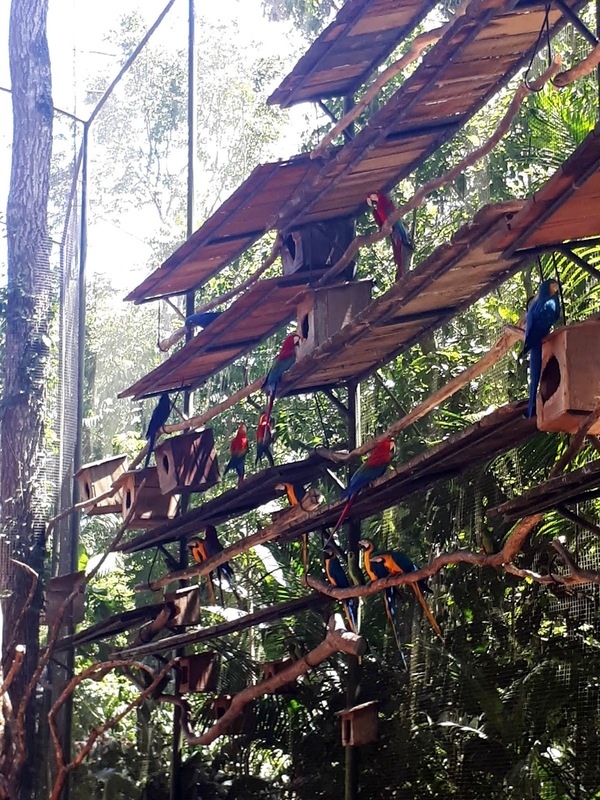 There is a well laid out path around the park and several large walk-in enclosures to enjoy, including one with the largest collection of macaws in the world. Wow they are noisy! The Argentine side took several hours to visit and allows you to get up much closer to the falls, both above and below by means of lower and upper trail loops. There is also a third trail taking you to the top of the Devil’s Throat where you will get wet from the spray. We were quite ready for that with the temperature in the high 30s each day. The walkways were much nicer, often elevated over the river with many more viewpoints and as a result, even with more visitors, felt much less crowded and allowed for a more relaxed experience. The land surrounding the falls on either side is national park and offers other activities such as guided nature walks, but just by being observant while walking the trails we saw numerous lizards, fish, a turtle, monkeys, tons of birds and numerous coatis (one of which attacked Sasha trying to get at her cookies). 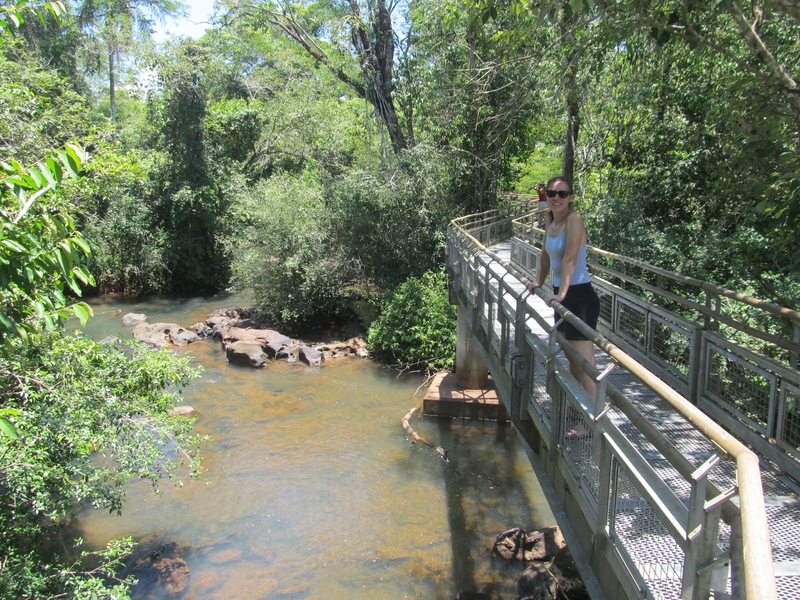 In all we loved it and can understand why it is one of the top tourist destinations in South America. Given the chance, even if you don’t like waterfalls that much, it is worth the effort.